This is one of Charlene Harris's earlier books - not quite as good as the latest ones. Picked this up at the bookcrossing meet-up. Looks good. I enjoyed this one and would read more with this sleuth. Mailed to jumpingin, who chose this out of the Mysterious Suspenseful VBB. Enjoy! Thanks for sending this so quickly, loveamystery! 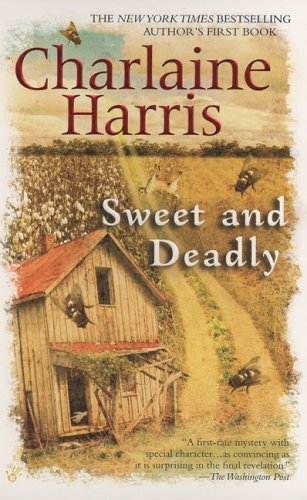 This is the first Charlaine Harris book I've read (and her first book). I thought it was well written and the story kept me turning the pages. I'll be looking for more of her books. This book has been chosen from bookstogive's Mystery/Thriller VBB by JennyC1230. I'll mail it as soon as our postal strike is over. Sent on its way by surface mail today. Great! Thanks for sending this book from bookstogive's Mystery Thriller Virtual Bookbox! It looks good. My Review: I enjoyed this little mystery! I'm a big fan of her Sookie Stackhouse series, so I wanted to read her other books too. This is her first book originally published in 1980. It's a great read. At times you start to believe that Catherine Linton, the main character, could possibly be the murderer. I'm going to save this for a bookbox. This wishlist book is hitching a ride with your choices from my Virtual Romance Bookbox. Enjoy the book!